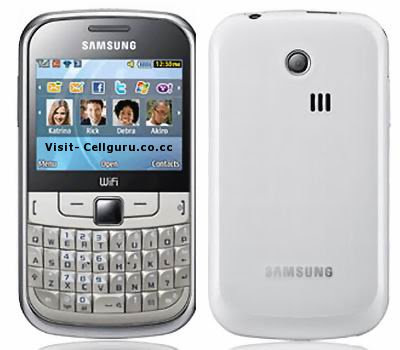 Samsung Chat 335 also known as Samsung S3350 was launched a few days back by the most trusted and famous company which possess a candy bar style with multimedia features. A broad TFT display screen measuring 2.4 inches is accommodated to the handset that assures a resolution of 320*240 pixels supporting thousands of colors. An efficient camera of 2.0 mega pixel is accompanied to the QWERTY keypad mobile phone that provides an eloquent resolution of 1600*1200 pixels with pictures clicked. The above mentioned camera supports digital zooming as well facilitating its users with video recording. 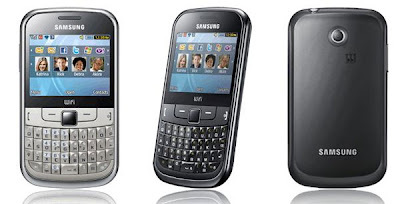 Messaging through SMS, MMS, T9 text function and e-mailing is made possible with Samsung Chat 335. The multimedia handset possess an audio MP3 player, FM Radio and H263, MP4 player so as to keep its users entertained. With an internal memory of 60 mega bytes, Samsung Chat 335 supports MicroSd card slot with which the memory is made expandable up to 32 gega bytes. A standard battery of Li-ion is inculcated to the handset that assures a talk time of 12 hours and a stand by time of 520 hours to its users. The company provides high tech designs to the phone so as to make it impressive and appealing to the world. Connectivity with Bluetooth, Wi-Fi and USB is made possible with Samsung Chat 335 that ensures easy and fast transferring of data. does this phone have dual sim and 3G services???? does this phone have gtalk(google talk)? ?